Plants should be well mulched with blends of organic materials such as compost, wood shavings and aged manure (chicken and turkey are best, but steer will do). Mulch is not only nutritious on its own, it provides the perfect medium over which concentrated fertilizers should be applied. Suggested feeding schedule is for modern roses only – those that repeat their bloom. Epsom salts (magnesium sulfate) are activators for plant enzymes essential to the growth process. Don’t apply anything after Halloween. A reminder- If your roses had blackspot last year now is the time to spray dormant plants with a mixture of sulfur and horticultural oil. The oil helps the sulfur cling to the canes during the rainy season, plus it kills overwintering pests. Spray only leafless canes. Repeat spray in the spring before new leaves appear. Diplocarpon Rosae is a devastating fungal disease commonly known as backspot, and this year’s wet spring followed by the hot weather created perfect conditions for this disease to thrive on our roses. Blackspot easily spreads from plant to plant by water droplets. The fungus starts on the bottom leaves in the spring and moves its way up the plant as the season progresses. If left unchecked, this fungus can completely defoliate a rose which not only causes fewer flowers, but also reduces the roses’ ability to survive the winter. Also, an article on the OSU Extension website list roses known to be resistant to blackspot in the Pacific Northwest. Those include the hybrid tea roses: Electron, Keepsake & Las Vegas, the floribundas: Europeana, Liverpool, Echo & Play Girl, and the climbers: >Dortmund & Dublin Bay. The American Rose Society also publishes information on which roses are susceptible to or resistant to rose diseases and you can research this information at: http://www.ars.org. They also post contact numbers for your local American Rose Society. The next steps toward prevention are proper growing conditions and maintenance. Blackspot needs a wet environment for germination, so you can lessen wetness by providing plants with sun and airflow. Providing roses with suitable nutrients also helps reduce their susceptibility to blackspot by strengthening them. Prune roses so air can flow among the leaves. Plant rose bushes with plenty of space between them for air flow. 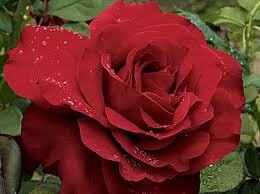 Plant roses in sunny locations so morning dew evaporates quickly. Water early in the day, so there’s plenty of time for water to evaporate. Don’t water overhead roses, they just don’t like it! If you are seeing telltale black spots on your roses, then corrective steps should be taken immediately.First, cut off affected plant parts, then rake up all the fallen leaves and discard all of these in the trash in a plastic bag. Diseased leaves should never be composted because blackspot winters over on the leaves, not in the soil; therefore if you compost the leaves you will be dispersing blackspot throughout your garden next year when you spread your compost! As stated above, air flow is important for controlling blackspot, so while cutting off affected canes, prune to increase air flow through the leaves and between plants. Diseased leaves and canes can be burned, but of course burning is often prohibited in the Rogue Valley,so first call (541) 776-7007 to see if burning is permitted, and remember you will need to obtain a burning permit from the Fire Department. Sulfur is considered a natural fungicide and it’s readily available in liquid, wettable powder or in dust form. Sulfur does not kill blackspot spores, but prevents a new generation of spores from germinating, so it stops spores from adhering to new emerging leaves. To treat with sulphur, start by pruning off all the affected areas, then spray or dust ALL the leaves and canes. Repeat this treatment every 7-10 days. Sulfur washes off easily, so you will need to re-apply after it rains. Do not spray if temperatures are above 80 degrees and do not use any oil-based product within two weeks of using sulfur. These practices can damage the plant. When roses go dormant in the fall, spray plants with a mixture of sulfur and horticultural oil. Horticultural oil mixed with sulfur should only be used when the plants are dormant. The oil helps the sulfur cling to the canes during the rainy season, plus it kills overwintering pests. Repeat spraying in the spring before new leaves appear. Spraying roses with a bicarbonate creates an alkaline environment on the plant which fungus can’t tolerate. This it what makes bicarbonate an effective fungicide. An old home remedy uses sodium bicarbonate (baking soda) mixed with water for treating blackspot,so baking soda has been used as a fungicide for several decades. But recent research shows baking soda is ONLY effective when combined with horticultural oil, and in due course the sodium in baking soda can build up in your soil making it toxic to all plants! So if you treat your roses with baking soda, you should confine your spray to the plant and avoid overspray. This would help reduce the potential for sodium building up in the soil.The recommended mixture is 4 teaspoons baking soda, plus 1 tablespoons of all-season horticultural oil in a gallon of water. Mix thoroughly and spray on plants early in the morning. Repeat application every 7-10 days. Re-apply after a rain. Other bicarbonates which can be used are ammonium bicarbonate or potassium bicarbonate. These bicarbonates have the added benefit of providing nitrogen and potassium to the soil which roses need, plus they eliminate the sodium concern. Ammonium bicarbonate has become difficult to obtain and it’s costly, but potassium bicarbonate is available online and at gardening stores. The formula for spraying potassium bicarbonate is 4 teaspoons of powder plus 1 tablespoon of all-season horticultural oil mixed into one gallon of water. 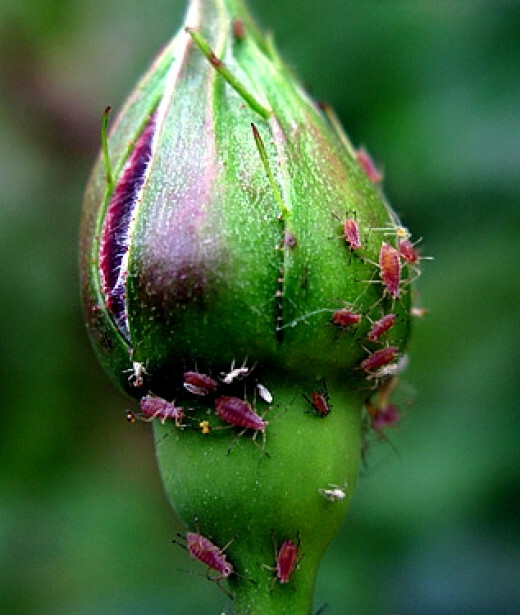 Spray lightly on afflicted roses. This solution can be used for powdery mildew and other fungal diseases too, but check the manufacturer’s safe plant list before using on other plants. Spray roses every 10-14 days. Re-apply after a rain. There are several pre-made organic and natural fungal disease-control products on the market these days, products like Safer Brand, GreenCure, Eco-Smart, Rose Pharm and Serenade. You should consult your local supplier to determine which of these earth-friendly products works best for blackspot on roses. These pre-made products usually contain a sulfur/soap combination or a potassium bicarbonate/oil solution. Just remember even though these products are organic and/or natural they can still be hazardous if not used properly, so always follow the product label’s directions. Neem oil is made from the native Indian tree, Azadirachita indica. This oil is considered an organic product and has been gaining popularity with home gardeners.Research shows that Neem oil is successful at killing powdery mildew spores, as well as numerous insects and their eggs, but Purdue Extension reports it is less effective against blackspot. Most Neem oil products that boast blackspot prevention on roses also contain sulfur or potassium bicarbonate. Systemic fungicides are a chemical treatment and therefore they are not organic. There are many brand name systemic fungicides on the market, so consult your local nursery person for recommendations. Systemic fungicides are not sprayed on rose plants, but are mixed with water and poured into the soil. The plant then “takes up” the fungicide through the roots and up through the canes to the leaves preventing the leaves from becoming infected with blackspot.Because systemic fungicides are a preventive it is best applied at the beginning of the growing season when buds begin to swell, then re-applied every 6 weeks. Be aware that some plant specialists state over time plants can become resistant to chemical fungicides. There are also several chemical fungicides you spray on the plants for treating blackspot on roses, and of course, these are not organic either. These fungicides are also preventative, so don’t wait until you see black spots covering your roses, start spraying your plants at the beginning of the growing season. These sprays are usually applied every two weeks, and as with all toxic chemicals, follow the label’s directions carefully. Do not spray when the weather is hot, as this can burn the leaves. In addition, plant specialists recommend you alternate your fungicides, because over time blackspot can build up a resistance to the one fungicide you’re using. 1.Scott, Judy. (date unknown) Choose disease-resistant plants. 2. Janna Beckerman (9/07) Black Spot on Roses. Fertile established rose bushes immediately after pruning by incorporating organic amendments into the soil. Water thoroughly first, then spread the ingredients evenly around the bush, under the drip-line (outer perimeter) of the bush. Scratch lightly into the top 1-2″ of soil and water well again. In warm climates with long growing seasons (January-February pruning and blooms through November-December), a second application is beneficial in early September for fall bloom cycles. About two to three weeks after spring pruning and adding organic amendments, new growth will appear. Chemical fertilizers, whether liquid or dry, can be applied at this time, and will provide an instant food source for this heavy feeding period. How often to apply is a subjective decision, based on the amount of time and devotion you have, but once a month should be the minimum. How often you fertilize your roses is determined by your rose growing style. Are you a Casual Rose Grower, a Dedicated Rose Grower, or an Exhibitor? Read the American Rose Society’s full article for the details.